Any visitor from Western Europe who enters a bar or a pizza place in Austria is undoubtedly surprised that smoking on the premises is still tolerated and actively practised. A smoking ban that was to take effect in May has been cancelled, prompting campaigners to swing into action. Anti-smoking groups have urged the government not to revoke the smoking ban in public places, stressing that this is not a freedom of choice matter but a government obligation to protect public health. 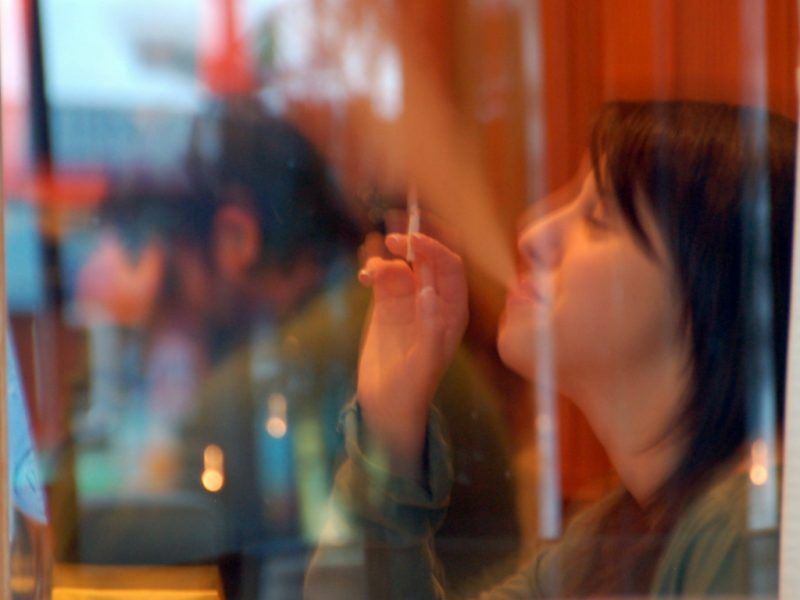 The European Network for Smoking and Tobacco Prevention (ENSP) told EURACTIV.com it could not accept the government’s plan to take back a smoking ban under the “freedom of choice” argument. “It is the responsibility of a government to protect the health of its citizens, especially the most vulnerable groups. People working in the hospitality sector are not second-class citizens,” ENSP said, adding that they deserve full protection from the harmful effects of secondhand smoke, just like the rest of the population. “We strongly believe that it is not a question of ‘freedom of choice’ but a vital matter of ‘human right for employees to have a healthy and safe workplace’, ENSP added. ENSP and its members conducted a letter campaign last year, calling on the ministers to support the smoke-free legislation. However, the Austrian government decided to abolish the smoking ban in the hospitality industry. In the meantime, a public opinion poll released in January 2018 showed that 70% of the population was in favour of the ban and only 29% supported the cancellation. A petition to ban smoking in Austria’s bars and restaurants has managed to collect more than 200,000 signatures since 15 February, and the issue will now have to be debated in parliament. But it’s highly possible the results will be disregarded. AFP reported that the petition was launched by the Austrian Medical Association (OeAeK) after the government scrapped the ban due to come into force in May. The ban was cancelled at the request of the far-right Freedom Party of Austria (FPOe), which entered the government as a junior coalition partner after elections late last year. The medical association’s president Thomas Szekeres said the petition had got off to a “sensational start”. “This is a big vote and it has to make politicians rethink the issue,” OeAeK President Thomas Szekeres said. Chancellor Sebastian Kurz, a non-smoker, is the head of the centre-right People’s Party (OeVP), which had supported the ban while in the previous coalition government. But FPOe Vice-Chancellor Heinz-Christian Strache, himself a smoker, insisted that the ban be dropped as a condition for entering the government, saying it impinged on “freedom of choice”. 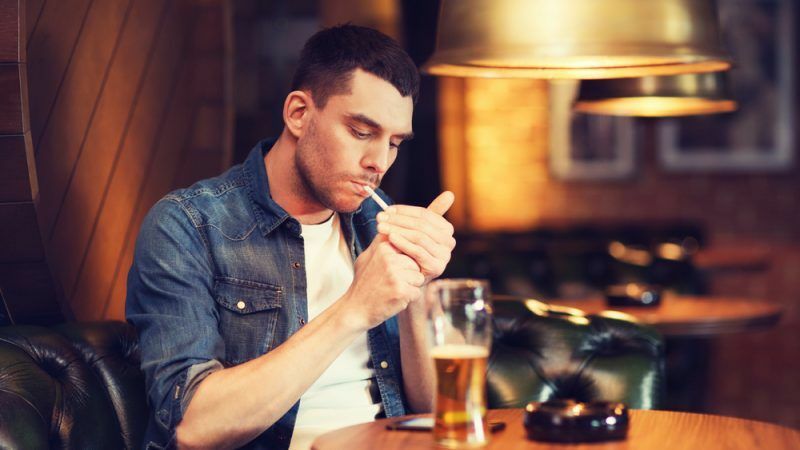 In theory, smokers have to be seated in a separate smoking area – although this is not always rigidly implemented – but no separate area is necessary for establishments smaller than 50 square metres if the owner is happy to allow smoking on the premises. “We know that smoking and non-smoking sections in venues do not work as doors keep on being opened and smoke travels,” ENSP warned. The number of smokers in Greece has decreased the last five years, however, the non-implementation of a smoking ban law in enclosed public places has irritated the population, which calls it “cultural degradation”. The Council Recommendation on smoke-free environments (November 2009) called on member states to adopt and implement laws to fully protect their citizens from exposure to tobacco smoke in enclosed public places, workplaces and public transport, within three years of its adoption. “Enhance smoke-free laws with supporting measures such as protecting children, encouraging efforts to give up tobacco use and pictorial warnings on tobacco packages,” the Recommendation reads. But there are still member states, which are lagging behind on the issue. Among the EU countries with low enforcement and compliance are Austria, Bulgaria, Cyprus, Greece and Slovakia. In an interview with EURACTIV, Health Commissioner Vytenis Andriukaitis said the existence of anti-smoking legislation is of little value if it’s not properly implemented. Despite lagging behind in smoking bans, Austria and Greece are among the frontrunners in the battle with pharmaceutical companies over drugs pricing.